gamerisms combines gin rummy oklahoma gin for part 4 of this skill games section. Gin is perhaps one of the most popular variations of classic Rummy. It gained popularity in the 1930s when the depression hit the United States and people were looking for cheaper ways to keep themselves entertained. The game can be played by two people though other variations allow for four or more players. The deck used is a standard 52-card deck with no wild cards. The dealer deals out 10 cards to each player after which the next card, called the upcard, becomes the top of the discard pile while the rest becomes the stockpile. The game then ensues with players forming their melds, either runs or sets, much like rummy. Examples are run=7-8-9 (same suit) or set=7-7-7 (same number). 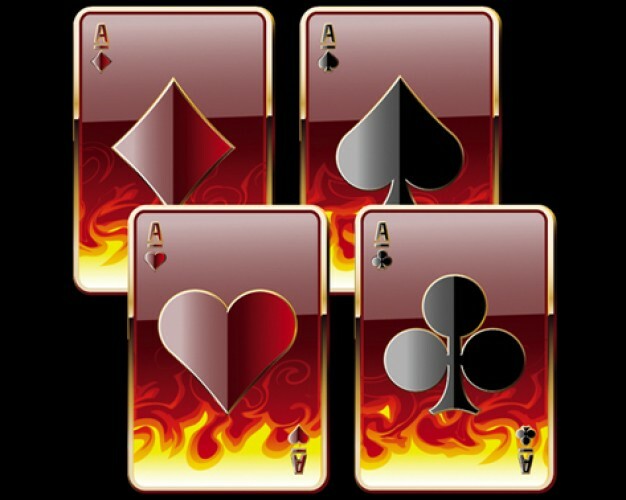 The goal of the game is to form combinations in the form of sets or runs, consisting of three of four cards. In addition, one has to reduce the number of unmatched cards in one’s hand to less than your opponents. Playing gin rummy is faster and easier than classic rummy. It has clear-cut procedures that involve two compulsory acts. The non-dealer has to play first and he/she has to either draw a card from the stockpile or the discard pile. Cards on the discard pile are placed face up while on the stockpile, they are face down. After noticing your cards, deciding which card you need least (one which does not form a set or a run), you must discard the card. Most house rules prevent players from drawing and discarding the same card. A player can score or announce victory in Gin Rummy by knocking, ginning or undercutting. 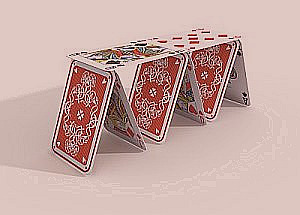 When a player has formed their cards into melds, they may choose to ‘knock’ if the total value of their unmatched cards (deadwood) is less than ten points. A customary way of winning is that the player signals by throwing the final card face down instead of up. When a player has no unmatched cards in his hand, then he may win by ‘ginning’ which earns him a 25-point bonus and the points on deadwood for other players’ hands. One advantage of ginning is that opponents cannot meld their cards on a gin hand. Undercutting is a tricky way of winning. After a player knocks, if the opponent has a lower or equal deadwood count then he ‘undercuts’ to score a 20 point bonus plus the total difference in their deadwood counts. The opponent usually lowers their deadwood counts by laying off. The gin rummy game ends once a player knocks, gins, or undercuts or if there are only two cards left in the stock. The player who scores 100 points usually wins the game (though some house rules extend game play to 150, 200 or 250 points). The winner adds another 100 points as game bonus to the final score. Even if one player fails to win a game, then the winner doubles his entire score and that is called a ‘shutout’. Straight Gin is the same except players cannot knock; Celebes Rhum--usually played in Southeast Asia where one cannot knock rather he/she has to meld all his cards using jokers. The third, Oklahoma Gin is the most popular version. Oklahoma Gin is similar, however with this difference -- the rank of the topmost card of the discard pile (the up card) decides the highest number of points needed for a player to knock in that particular hand. For example, the up card is 6 then a player must have six points or less. If however, that card is an ace, then both must play for gin. Some house rules say that a spades for the up card doubles the points in the hand. Oklahoma Gin has more skills involved compared to Gin Rummy and thus requires more strategy. One must remember that with a high knock card value, one must play for two melds and a quick knock. Alternatively, a low knock card requires that one must form three melds. Therefore, when it is compulsory to gin, kings and aces have the slightest value. Gin Rummy Oklohoma Games is part 4 of the 6 part Rummy Glossary at gamerisms.